July 31, 2010  As Chelsea Clinton's pending nuptials demonstrate, weddings are increasingly notable for their amazing lack of intimacy and their evolution into industry, especially for celebrities. When you have to invite several hundred people to please the relatives or the company or Congress before you've invited even one friend from grade school, your wedding has as much intimacy as Times Square on New Year's Eve. July 30, 2010  Guest blogger Jimi Izrael assesses the careers of Hollywood film making duo the Nolan brothers, one of whom is the mastermind behind the latest box office smash Inception. 'Shop Talk': Should Shirley Sherrod Sue Andrew Breitbart? July 30, 2010  In this installment of Tell Me More's weekly Barbershop segment, guest host Rebecca Roberts talks with freelance journalist Jimi Izrael, civil rights attorney Arsalan Iftikhar, columnist Gustavo Arellano and writer Matthew Continetti. 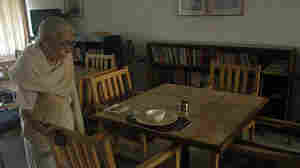 They discuss former USDA official Shirley Sherrod's vow to bring a lawsuit against conservative blogger Andrew Breitbart, the anniversary of the famous White House "Beer Summit" between President Obama, Harvard Professor Henry Louis Gates and Cambridge police officer James Crawley. Other topics include the Arizona immigration law, which partially went into effect yesterday and President Obama's appearance on ABC's "The View." July 30, 2010  Tell Me More guest host Rebecca Roberts and Lee Hill, the program's multimedia producer, comb through listener feedback and offer important news updates to recent conversations heard on the program. Hear reaction to a recent debate over marijuana legalization and its anticipated effect on black communities in California. Also hear what New York City has agreed to pay the family of Sean Bell, the unarmed 23-year-old who was shot and killed in 2006 after police fired 50 bullets into his car. July 30, 2010  Russian President Dmitri Medvedev has come to stand for ineffectual high-mindedness, yet it's just possible that he understands the current political moment better than we do. According to Stephen Sestanovich of The New Republic Medvedev's gambling that America, and politicians who want to learn from America, can seem cool again. July 30, 2010  Venezuelan President Hugo Chavez is once again accusing Colombia and the U.S. government of plotting to topple him. But according to Otto Reich John Sweeney of Foreign Policy it's really Chavez who poses a threat to peace in the region. India: No Country For Old People? July 30, 2010  As India competes in the global economy, new challenges arise for its aging population, who once relied on their children to help them through old age. Morning Edition commentator Sandip Roy explains. July 30, 2010  Tom Davis grew up in Pensacola, Fla., enjoying everything the seaside town has to offer. But in the summer of 2000, when he was 21, a surfing accident left him paralyzed from the neck down. Tom recently took a moment with his parents, Connie and Robert, to talk about his injury -- and their life together. 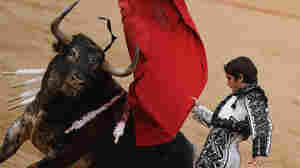 July 29, 2010  This week, Catalonia's parliament voted to uphold a ban against bullfighting set to take effect in 2012. Foreign Policy takes a look at photos of Spain's much-celebrated and much-debated sport. July 29, 2010  Seyward Darby of The New Republic explains why charter-school bashing is off-base and why Race to the Top is a cutting-edge effort that encourages states to make big changes that will help all of their students -- black, brown, or white. July 29, 2010  Arizona Federal Judge Susan Bolton decided to block immediate implementation of central provisions of the state's new anti-immigrant laws on Wednesday. John Nichols of The Nation believes that she was upholding one of the most basic principles of Constitutional law: that the federal government gets to set immigration policy. July 29, 2010  According to the editors of National Review, Judge Susan Bolton twists facts and logic to support the Justice Department’s claim that the Arizona state law preempts the federal immigration scheme. July 28, 2010  At best, President Obama will be able to use the show to reach less than 5 percent of the nation. Still, Cord Jefferson of The Root suggests that it's important to acknowledge that this kitschy, daytime TV appearance could be an opportunity for him to present and explain complex stances to people who don't normally seek out such knowledge. July 28, 2010  Pakistani schizophrenia is deeply distressing and frightening. Reuel Marc Gerecht of The New Republic warns that an American retreat would make the Inter-Services Intelligence s former die-hard Islamist boss Hamid Gul, a dangerously captivating man, into a compelling shrink.